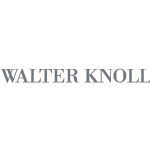 Walter Knoll has always been known for the impeccable quality of its products. Beginning as a leather producer more than 150 years ago before moving into seating in the early 20th century, the firm combines innovative technology with traditional hand finishing. Its factories, for instance, inspect hides for quality using both lasers and the human eye. This has allowed the creation of precise, minimal shapes, including those conceived by Norman Foster, Trix & Robert Haussmann, Kengo Kuma, and PearsonLloyd.